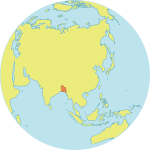 The Research and Reports Analyst is located in Bangladesh Country Office (CO) and reports to the Chief of Health. UNFPA is the lead UN agency for delivering a world where every pregnancy is wanted, every childbirth is safe and every young person's potential is fulfilled. UNFPA’s new strategic plan (2018-2021), focuses on three transformative results: to end preventable maternal deaths; end unmet need for family planning; and end gender-based violence and harmful practices. In a world where fundamental human rights are at risk, we need principled and ethical staff, who embody these international norms and standards, and who will defend them courageously and with full conviction. UNFPA is seeking candidates that transform, inspire and deliver high impact and sustained results; we need staff who are transparent, exceptional in how they manage the resources entrusted to them and who commit to deliver excellence in programme results. The Research and Reports Analyst substantively contributes to the effective management of UNFPA activities in the areas of reproductive health and rights. You will analyse and assess relevant political, social and economic trends and provides substantive inputs to project formulation and evaluation, joint programming initiatives and national development frameworks. You will guide and facilitate the delivery of UNFPA’s programmes by monitoring results achieved during implementation. You will ensure and guide the appropriate application of systems and procedures and develop enhancements if necessary. Advanced degree in health, population, demography and/or other related social science field. Two years professional experience in the field of development and population activities, preferably in programme/ project management. Experience in preparing donor reports is a must. Experience in compiling and analysing programme data to feed into reports in highly desirable. Prior experience in conducting research independently would be an asset. Experience working in the UN and having a good understanding of the country programme document and country programme action plan monitoring would be an advantage. Ability to present to local and international audience on programme achievements and challenges an advantage. Fluency in English is required. Working knowledge of Bangla is an advantage. Working knowledge of another UN language an asset. Proficiency in current office software and statistical applications.